Glass Steel and Stone - Pictures and information and history notes about Saint Peter's Basilica and Saint Peter's Square. Guide to the State of the Vatican City - Online consumer access to news, information, products and services from Vatican City. Holy See Mission - Permanent Observer Mission of the Holy See to the United Nations. L'Osservatore Romano - Weekly edition in English. Libreria Editrice Vaticana - Online sales point for books, CD and multimedia from the Vatican Publishing House. Vatican documents, theology, ethics, liturgy, praying books but also tourist guides about Rome and Vatican City. 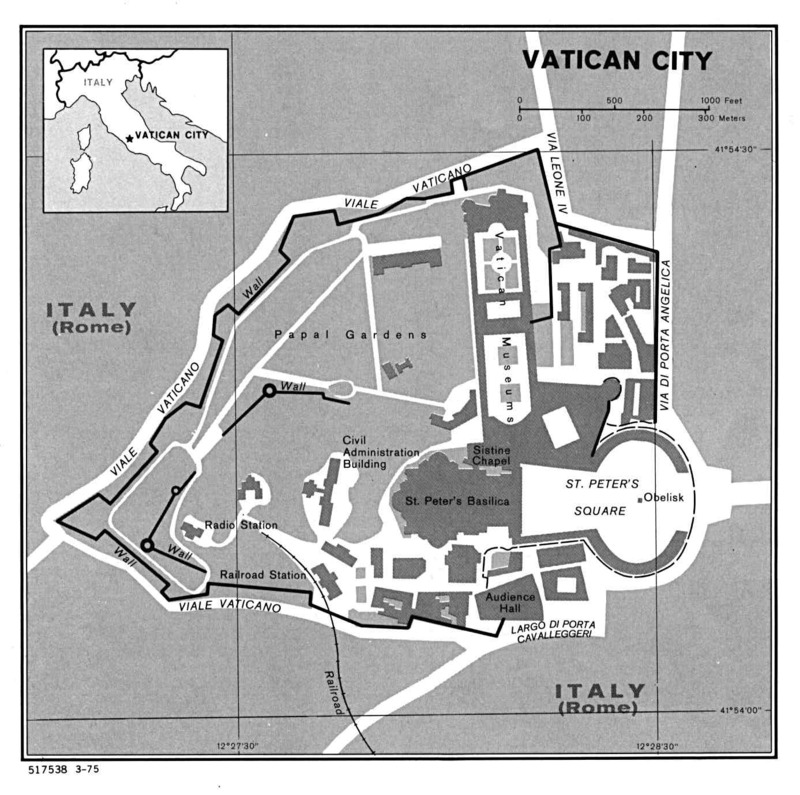 Resources on Vatican City - Tourist resources on Vatican City. The Holy Father - From Leo XIII to John Paul II. The Holy See - Official Vatican homepage. News services, Church documents, information on the Popes and departments of the Roman Curia. Several languages supported. The Roman Curia - Secretariat of State, Congregations, Tribunals, Pontifical Coucils, Synod of Bishops, Offices, Pontifical Commissions, Swiss Guard, Institutions Connected with the Holy See, Labour Office of the Apostolic See, Pontifical Academies. The Vatican Museums - General information, exhibitions and restorations. Vatican - Links to Vatican's institutions and country guides. Vatican City - Flags and general information. Vatican City Weather from AccuWeather.com - Five day forecasts and reports. Vatican Exhibit Main Hall - Library of Congress Vatican Exhibit. Vatican Library and Secret Archives - Collections and documents. Online Public Access Catalog of the Vatican Library. Vatican Radio - "The Pope's Voice". Programmes in 40 different languages, live broadcasts, broadcasts on demand.